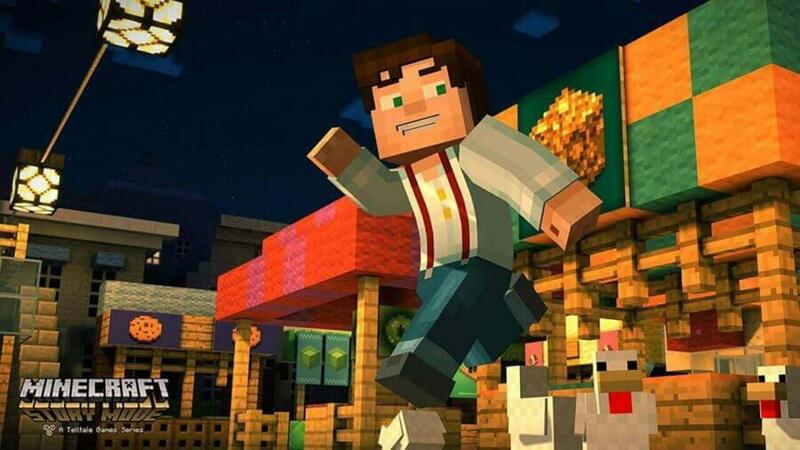 Video game studio Telltale Games responsible for titles like The Walking Dead, Guardians of the Galaxy and the popular Minecraft Story mode has shut but Netflix has assured that the upcoming Minecraft series is still on the way. Video game content has become increasingly relevant to Netflix news given the fact that there’s an upcoming series based on The Witcher series and also two rumours recently about more video game series getting adapted for Netflix. Telltale games are most known for their story-driven video games based on licenses that we mentioned above plus the likes of Game of Thrones and even a planned Stranger Things series too. Limited details of the Minecraft series coming to Netflix are available at present other than it was being worked with Telltale Games. Obviously, Minecraft Story Mode is a game based on a game meaning that the upcoming series is a series about a game based on a game. With the closure of the game studio, all of its projects, including The Walking Dead season 3 which was halfway through releasing, is now up in the air unless a buyer can be found although that seems unlikely now. The series only had two hits with those being the first season of The Walking Dead and the Minecraft series. We’ll have a full preview of what we know of the upcoming Minecraft series in an upcoming article but until then our thoughts are with all of those affected by job losses. Are you glad Minecraft is still coming to Netflix streaming? Let us know in the comments.